Woodpeckers, named because of just that - they peck wood, can be identified by stout sharply-pointed beaks, stiff tail feathers, and short legs that are equipped with four sharp clawed toes (two toes face forward and two backwards). In late fall and into winter these birds really seem to appear. Although always around it just seems they hide better in summer than winter. Visiting feeders and circling trees these birds seem to come alive in colder weather. We will discuss them as a species first, then you can get more detailed information about identifying and attracting the common types by following the different links below. They are members of the Picidae family which includes flickers and sapsuckers. About 45 are found in North America. These birds are usually found in woodland areas; however, these birds can be found in treeless areas where utility poles and wood-sided houses and other structures provide suitable substitutes for trees. Easily excavating holes in dead tree limbs for nesting and raising young. The front and rear toes along with their stiff tail feathers make these birds uniquely adapted to drilling holes in wood for nesting. 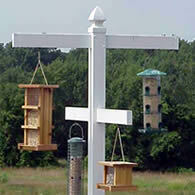 As cavity nesters, some of these birds are good candidates for man-made bird houses. 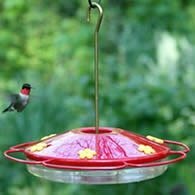 These birds are beneficial because of the large numbers of insect pests they eat. Depending on type, they eat many wood-boring insects, spiders, caterpillars, berries, and seeds. The Pileated primarily feeds on ants, although it will also eat wood-boring insects and berries. Drumming defined is: when these birds rapidly peck on wood, metal, or any resonate surface. The purpose is twofold. One is to announce territory so that others, primarily males stay away. The other reason for drumming is to attract a mate. Females hear the sound and check the male and his territory out. If she likes all that she sees, they will mate. You can often attract these birds to your yard by offering suet and black oil sunflower seed. Downy and Hairy along with Northern Flickers are especially attracted to suet. Check Out All the Suet Options for Attracting Woodpeckers to Your Yard! Some of these birds will use man made bird houses. These include the Hairy, Red-bellied, Red-headed, and Flicker. 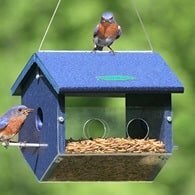 If you have any of these in your area you might want to try placing a bird house for them. Females will lay a clutch of 4 to 8 white eggs in an excavated tree cavity or bird house. Both adults generally assist with incubation and feeding of the young. Classified as nongame migratory birds, these birds are protected by the 1918 Migratory Bird Treaty Act and state wildlife laws. Before any person may take, possess, or transport any migratory bird or its parts including feathers, eggs, nest, ect., they must secure a permit issued by the U.S. Fish and Wildlife Service. Although they are considered migratory, many do not travel long distances. Many are year-long residents of the states they are found. Damage typically occurs during spring and fall. In the spring when pairs are actively looking for nesting cavities, cedar wood sided houses can be damaged. Certain types of bees and other insects use the grooves in board and batten siding to lay eggs which attract the bird pairs. The best way to control damage caused by woodpeckers is to start when the damage first occurs. Once they establish a feeding or nesting territory, it becomes much more difficult to manage. If there are any cracks or opening that attract them or provide a surface for them to cling to, these should be repaired. In some cases this may be all that is needed. 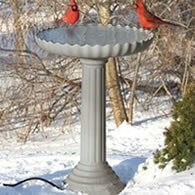 Some steps you can take that may help are: stretching plastic tightly over the area or using a water hose to chase the birds away. If the area is small, placing flashing of metal over the areaa. 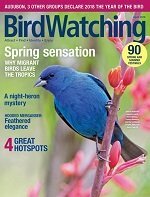 By law, no one can capture or harm these birds without written permission from federal and state wildlife agencies. For the most part, woodpecker damage is minimal. There are sensor activated water devices also available. These spray water when the birds land breaking a beam of light.